Andrea Riseborough is a fashion risk taker with unpredictable style, that sometimes works in her favor. Yesterday evening(December 10th) she attended the 2017 British Independent Film Awards at the Old Billingsgate in London. 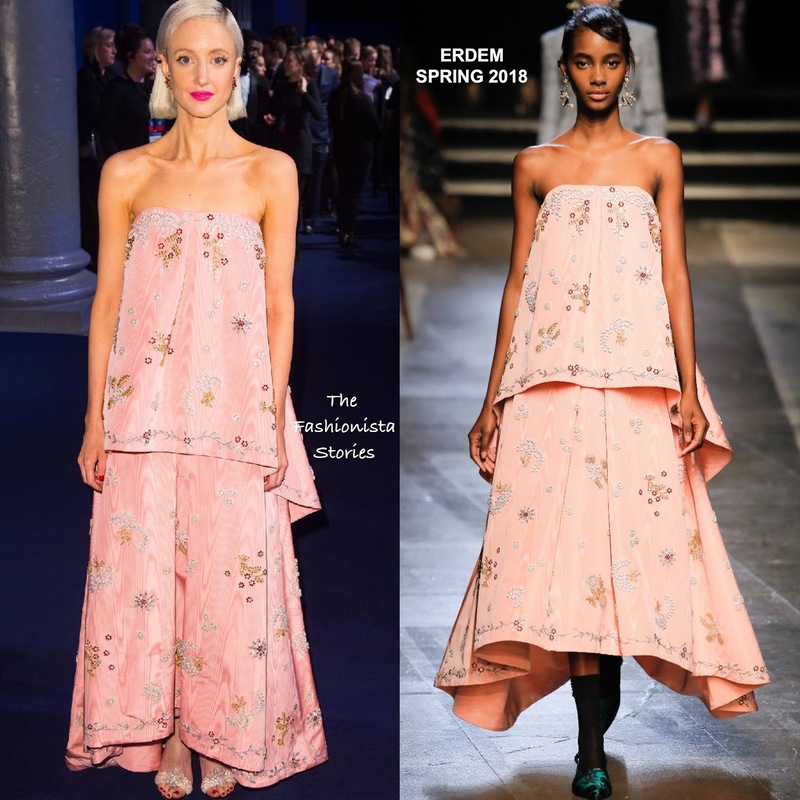 She hit the blue carpet in a ERDEM SPRING 2018 strapless beaded floral embroidered peplum dress with an inverted pleat skirt and a hi-lo hem detail. The shape is not the easiest to pull off but I think it works on Andrea. She knows how to pick the right unique pieces that suits her style. A bubble gum pink lip, NEIL LANE and embellished CHRISTIAN LOUBOUTIN sandals finished up her look. Does Andrea's look work for you?